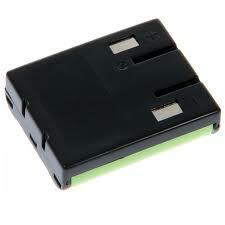 BT-999 : 3.6v NiMH rechargeable Cordless Phone battery - fits Sony & V-Tech phones. Replaces BT-999, BP-999, BT-811, BT-815, BP-T23, & more (see x-ref list). Fits: Sony SPP-936, SPP-A973, SPP-900, SPP-ID975, SPP-ID970, SPP-A941, SPP-A945, SPP-A972, SPP-IM977, SPP-930, SPP-M932, SPP-A941, SP-A940, SPP-935, SPP-945, SPP-A970, SPP-A9773, SPP-M920, SPP-S910, Uniden EXS9966, EXS9900, EXS9910, EXS9950, EXS9995, EXT1960, EXT1965, VTech VT2960, VT9111, VT1711, VT1921c,VT1970CI, VT1718, VT1920, VT1930c, VT1962, VT2910C, VT9105, VT9108. AT&T - Lucent Technologies 3470, 9105, 9110, 9050, 9452, 90847. Replaces: Audiovox BT-911, GE - General Electric GE-TL26502, GE - Sanyo GES-PC902, GES-PC915, PC902M, PCH08, Panasonic PP900, Qwest BY02K, Sony BP-T23, BY00H8, Toshiba TRB-3803, TRB-3808, TRB-9100, Uniden BP-999, BATT-171, BATT-23 BT-801, BT-811, BT-815, BT-999, Vtech 80-3316, 80-4314-00-00, 80-4280-00-00, 80-4134-00-00, 80-4032-00-00.